This underwater SoundSet brings you every sound you'll need for the exploration of an ruined vessel sunk in a haunted deep water trench. 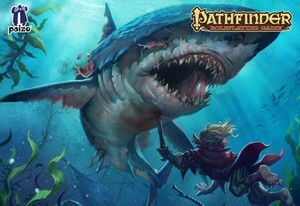 You'll find zombie sharks, drowned sailors and something very huge and very hungry. Your players will feel like their ears are filled with water as every muffled sound drips into the room. Even the music pushes its way through tons of crushing pressure. This SoundSet was imagined, compiled, designed, created, mixed, and finished by Benjamin Loomes of www.syrinscape.com.